Following an incredible summer of world athletics in the UK, Asha Philip is among those relishing the opportunity to compete on home soil again when Birmingham hosts the IAAF World Indoor Championships next March. 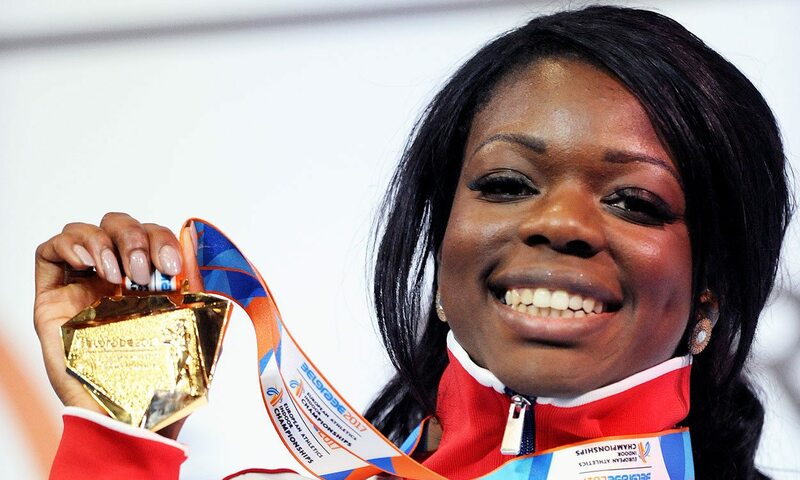 Philip enjoyed a superb indoor season earlier this year as she broke the British 60m record to claim European gold in Belgrade. Carrying that fine form into next year is the aim for the 26-year-old, who formed part of Great Britain’s silver medal-winning 4x100m relay team at the IAAF World Championships in London and also reached the semi-finals of the individual 100m. “I love doing the 60m and the fact that it’s another home championships, I don’t really want to miss out on that,” says the Newham & Essex Beagles sprinter, who ran 7.06 in Serbia to become the fastest ever British female over 60m. “If all goes well I will be competing. I know it’s two spots this time as opposed to three in the Europeans but I have a good chance. Philip has gained many fans as her impressive performances are accompanied by a bubbly attitude and a famous fighting spirit that has seen her battle back from career-threatening injury. Now she appreciates every opportunity she has to take to the track – even more so when it means racing in front of home fans. “I really am looking forward to that championships because a home crowd is insane,” she smiles, looking ahead to the World Indoors in Birmingham, considered by many to be the home of athletics. “Birmingham has a fantastic track, the warm-up area is brilliant. I hope everyone does buy their tickets and comes out to support us because it will be a spectacular event.